Our meticulous attention to detail results in a quality reproduction Canteen Model 106 Gum Vendor Marquee. 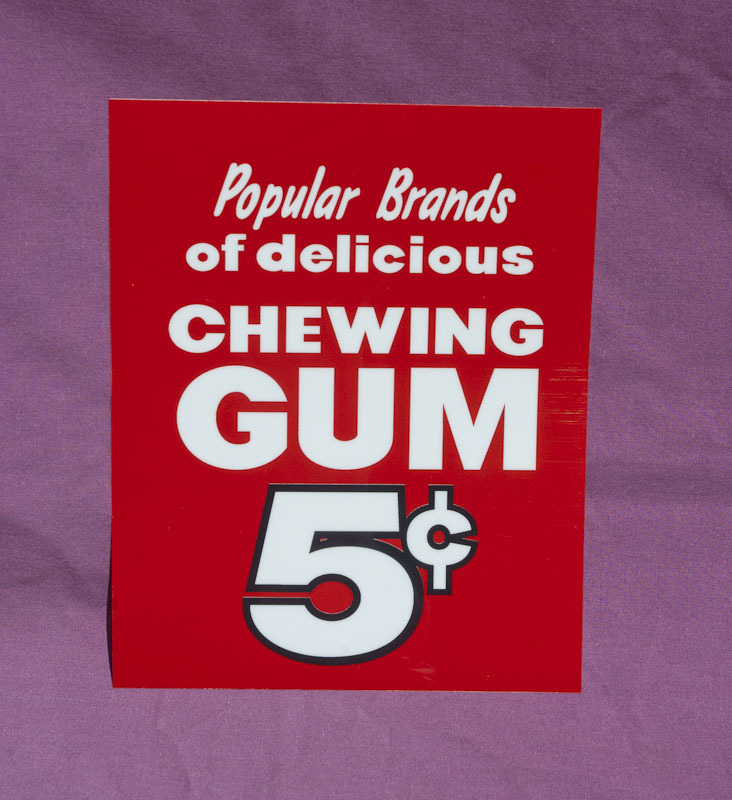 Our Reproduction Gum Vendor Marquee will also fit the similar Rowe 106 Gum Vendor. These are often missing or damaged and insert into the upper stainless steel trim. Printed on heavy Mylar like the originals! Approximately 6 3/8" wide by 8" tall.